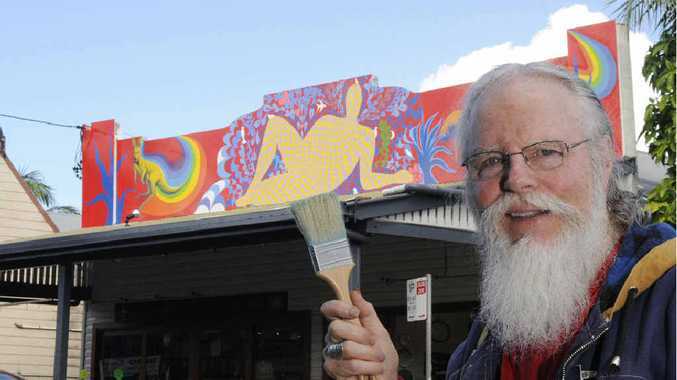 A FRESH layer of Nimbin identity has been painted by artist Vernon Treweeke, who 40 years ago first coloured Nimbin's distinctive facade. A celebration of Nimbin's Aquarian ancestry, the "rebirth" of murals, central to the village's distinct image and strong community identity has been repainted. Mr Treweeke yesterday finished the Checkmate mural on Nimbin Pizza and Trattoria's. 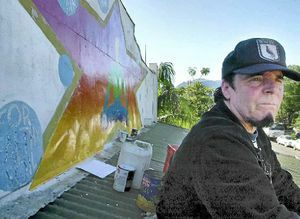 He conceived and painted Nimbin's murals before and during the original Aquarius Festival in May 1973. According to the 70-something artist, Checkmate represents the spirit of Nimbin - watching over nature. "The kangaroo represents the freedom of mankind bounding into the future and the emus facing each other represent the union of male and female aspects of ourselves merging into the new, forging a new path to the manifesting 'age of Aquarius'," he said. Nimbin Newsagency "endangered species" mural has been completed by Amanda Williams and the Community Centre will have a new mural painted by Elspeth Jones. The Rainbow Cafe's Over the Rainbow was made possible by the Tuntable Falls Co-operative, painted by Benny Zable and a team of young Nimbin artists. 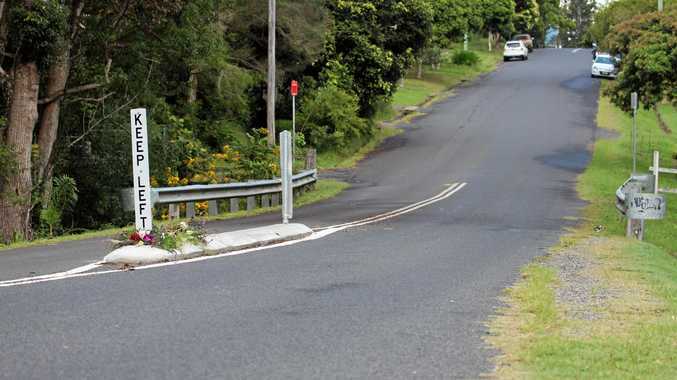 The Nimbin Murals Restoration Project is a community initiative in partnership with the Nimbin Aquarius Foundation, Nimbin Chamber of Commerce, Rainbow Power Co, Nimbin businesses, Nimbin Neighbourhood Centre and assisted with heritage grant funding from Lismore City Council.